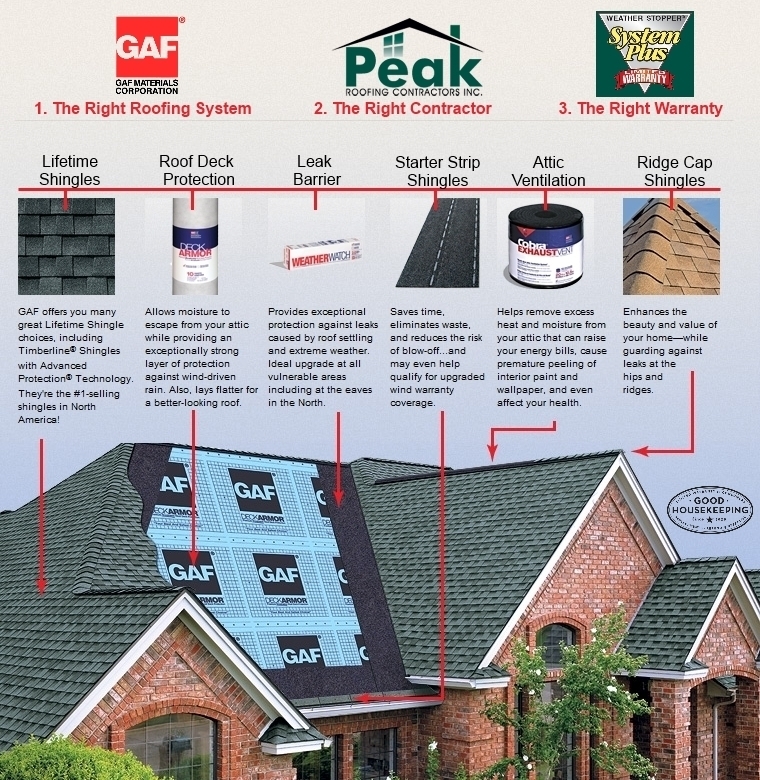 GAF System Plus Roofing Solution | Peak Roofing Contractors Inc. Peak Roofing works hard to provide our customers with the most reliable roofing solution with the strongest warranty and at the best pricing available. That’s why we are proud to partner with GAF in delivering the System Plus Roofing Solution. The GAF System Plus Roofing Solution combines advanced materials and technology with the most trusted Good Housekeeping guarantee to bring you an integrated approach designed to protect your biggest asset – your home. If you’re uncertain about the current condition of your roof, Peak Roofing Contractors can come to your home or property and provide a free, no-hassle, no-obligation written estimate that will allow you to make an informed decision regarding roof replacement or repairs. Whether the project is large or small, we’ll provide the same caring service and quality workmanship. Call us today at (703) 753-4585 or Click Here to Schedule Your Free Estimate.